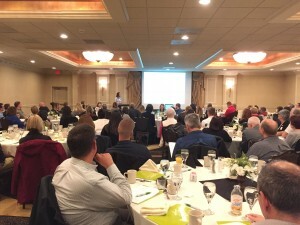 GKH attorneys presented to more than 100 guests at the firm’s annual Employment Law Breakfast Seminar held on May 9 at the Eden Resort & Suites in Lancaster. This year’s topics reflected the significant changes and uncertainty regarding how many employment laws will be interpreted and enforced. Attorneys Jeff Worley, Justin Bollinger, Jonna Stratton, Lindsay O’Neil and Doug Smith discussed EEOC enforcement priorities; sexual orientation and gender identity issues in the workplace; immigration; the Affordable Care Act (and what may or may not come next); medical marijuana; and the current status of the Fair Labor Standards Act.